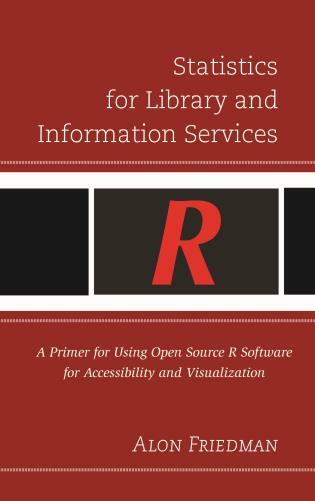 The aim of this website and our textbook, Statistics for Library and Information Services, A Primer for Using Open Source R Software for Accessibility and Visualization, is to provide non-statisticians working in library and information environments with a logical, user-friendly, and step-by-step guide to the concepts of statistical theory and data collection methodologies. To begin, click on Inside the Book. Click above to order now!